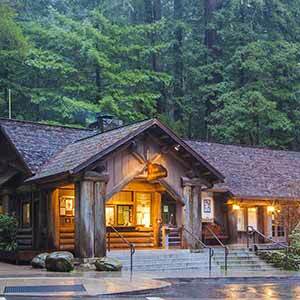 Reservations are now required to park anywhere near the main entrance to Muir Woods or to take the 45-minute shuttle ride (available weekends and holidays only) to the main entrance. Parking reservations cost $8 per car, while shuttle reservations are $3 per person. There’s also an entrance fee of $10 per person. Reservations can be made up to 90 days in advance. Energetic hikers who don’t mind an 800 foot vertical climb can avoid the reservations and fees by parking along the Panoramic Highway and walking down the Ocean View Trail or Camp Eastwood Road (Alice Eastwood Road) into the park; however, parking along the Panoramic Highway is hard to find on summer weekends. I’ve done it, but even at 10 am it feels miraculous to find a spot. 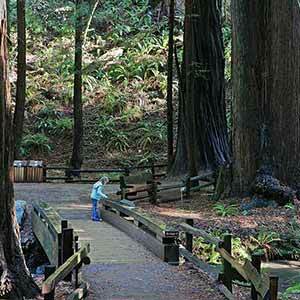 If you do drive to Muir Woods, it’s easy to find; plenty of roadsigns point the way. 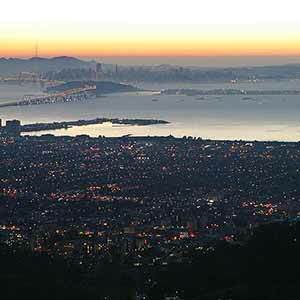 From San Francisco, drive north to the Golden Gate Bridge. After crossing the bridge, Highway 101 passes over a hill with a tunnel at the top. 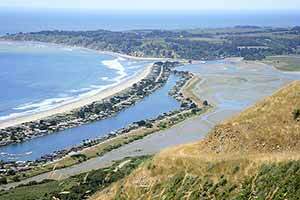 Just after the highway levels out at the end of the hill, take the Route 1 off-ramp to Mill Valley/Stinson Beach. Cross under the freeway. There’s a traffic light just after after you cross under the freeway, then the road winds along the side of a river and enters a developed area. Turn left at the next traffic light, following the signs for Route 1 and Muir Woods. The two-lane road climbs through a residential area. Shortly after the houses end, turn right at a well-signed intersection onto the Panoramic Highway. 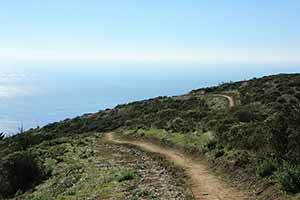 The road immediately makes a hairpin turn and ascends an open, chaparral-covered ridge. Turn left at the next intersection onto Muir Woods Road, which is also marked with prominent signs. 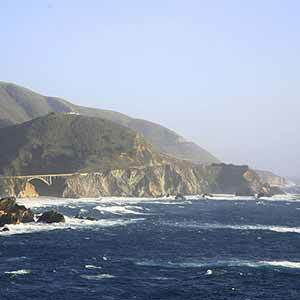 The narrow and very twisty road is cut into a steep hillside with nothing to keep you from tumbling off the cliff. 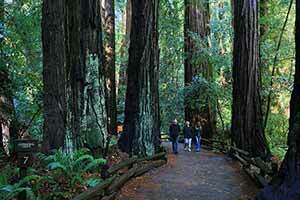 After a series of hairpin turns you’ll reach the entrance to Muir Woods. Chances are you’ll have to drive past the entrance and continue to the overflow lot. On summer weekends the entire drive becomes very slow. 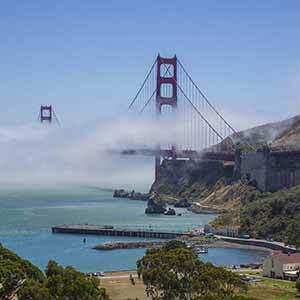 Traffic on the Golden Gate Bridge and on Route 1 through Sausalito grinds to a standstill by noon and gets even worse later in the day, often adding an hour to the drive. 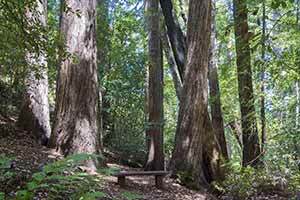 A scenic loop that climbs to a steep grassy hillside high above Muir Woods, then descends into a narrow, redwood-filled side canyon before joining the Bohemian Grove Trail. 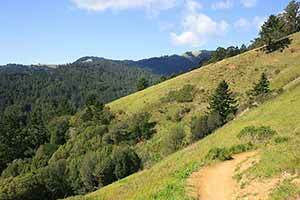 This is the best of the loops that climb the hills around Muir Woods. 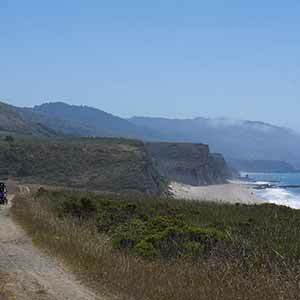 This loop starts with a long climb up a grass-covered ridge, then descends through old-growth redwood uplands to the Bohemian Grove Trail. 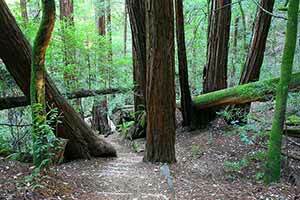 The main attraction of Muir Woods, this heavily-used trail follows a stream through a canyon lined with medium-sized redwoods. 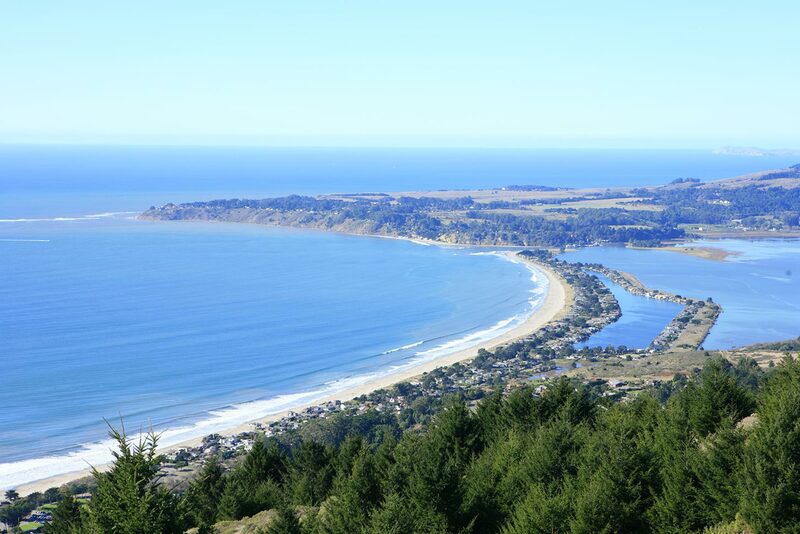 This challenging hike descends scenic coastal bluffs to Stinson Beach, then returns by way of a climb through a redwood-filled canyon. 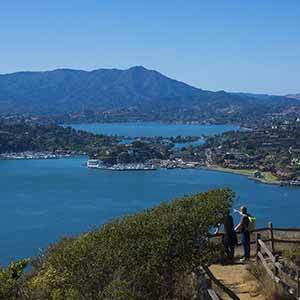 This enjoyable hike in Mount Tamalpais State Park has a little of everything — superb ocean views, lush coastal woodland, and a cool, damp canyon lined with old-growth redwoods. The redwoods are smaller and fewer in number than Muir Woods, but this loop is a lot less touristy. 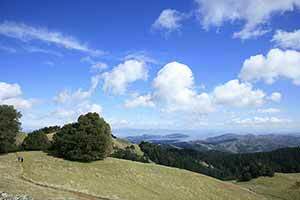 High on the north side of Mount Tamalpais, Colier Spring sustains a tiny, little-known old-growth redwood grove. A short stroll through alpine meadows to one of the best scenic views from anywhere on Mt. Tam. 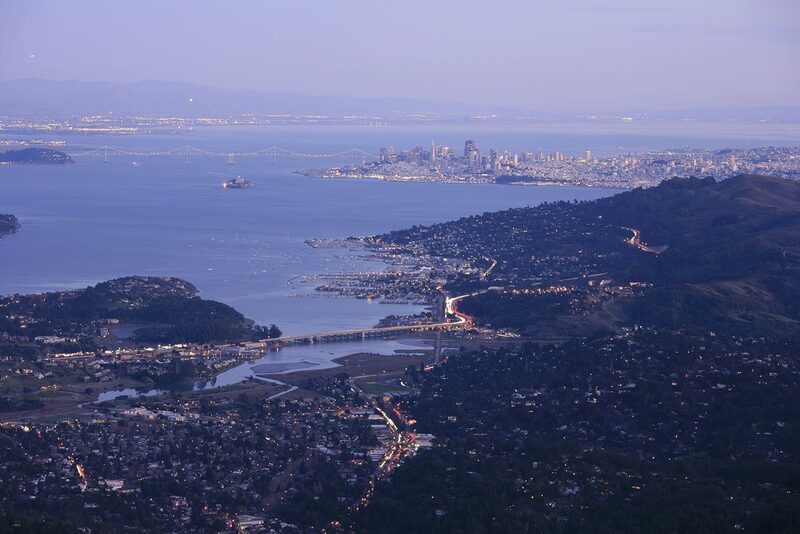 Printed maps of the Muir Woods area (Mount Tamalpais) are available from Redwood Hikes Press. 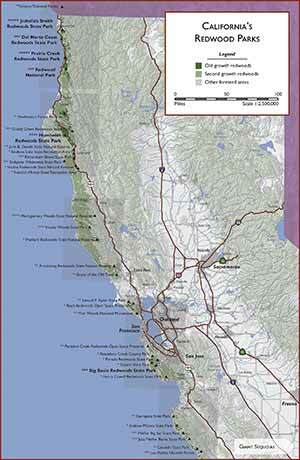 The printed maps are the same as the maps on this website, but without the greyed-out trails and old-growth redwood coverage.